Or, get it for 36800 Kobo Super Points! The law of the sea provides for the regulation, management and governance of the ocean spaces that cover over two-thirds of the Earth's surface. 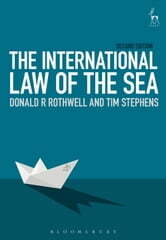 This book provides a contemporary explanation of the foundational principles of the law of the sea, a critical overview of the 1982 United Nations Convention on the Law of the Sea and an analysis of subsequent developments including the many bilateral, regional and global agreements that supplement the Convention. 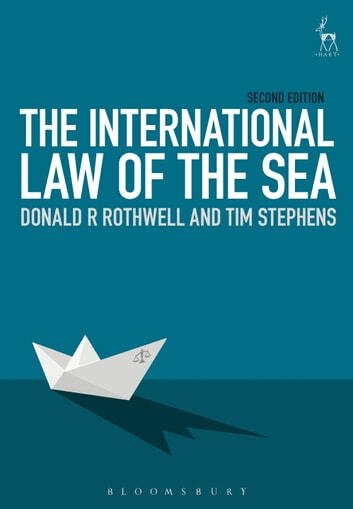 The second edition of this acclaimed text takes as its focus the rules and institutions established by the Convention on the Law of the Sea and places the achievements of the Convention in both historical and contemporary context. All of the main areas of the law of the sea are addressed including the foundations and sources of the law, the nature and extent of the maritime zones, the delimitation of overlapping maritime boundaries, the place of archipelagic and other special states in the law of the sea, navigational rights and freedoms, military activities at sea, and marine resource and conservation issues such as fisheries, marine environmental protection and dispute settlement. As the Convention is now well over a quarter of a century old, the book takes stock of contemporary oceans issues that are not adequately addressed by the Convention. Overarching challenges facing the law of the sea are considered, including how new maritime security initiatives can be reconciled with traditional navigational rights and freedoms, and the need for stronger legal and policy responses to protect the global ocean environment from climate change and ocean acidification.